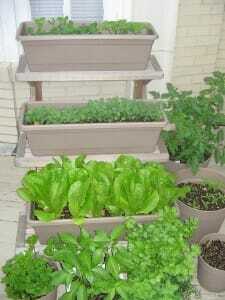 Do you garden in containers? If so, revitalising old potting mix and checking your pots on a regular basis are essential routine maintenance activities for ongoing plant health. If you are starting to see problems in your plants, it’s probably time to check what they’re growing in! This is a trouble shooting article to help you improve your potting mix and solve some common problems. 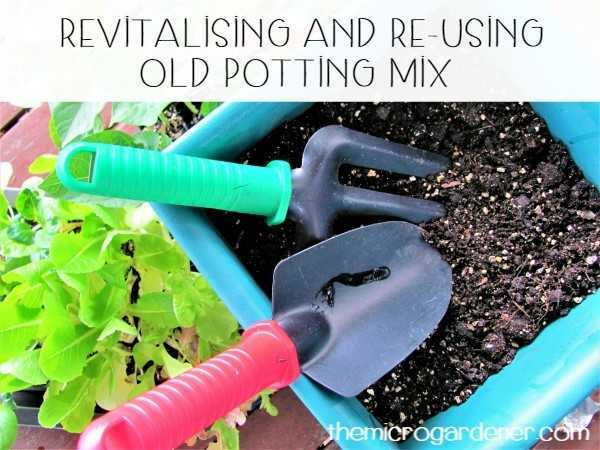 Can you Reuse Old Potting Mix? If so, HOW? One of the principles of Frugal Gardening involves RE-USING materials = less waste and reduces our footprint on the planet. It also has the added benefit of saving us money! Bags of commercial potting mix can be quite expensive particularly if you have lots of pots. It also dries out fast and your plants suffer. Making your own homemade potting mix make sense (and cents)! Why? Because it lasts longer, provides all your plant needs and contains no nasty chemical additives like water crystals and soil wetters. Re-using your old potting mix definitely is more satisfying, sustainable and cost-effective. First Step: Audit Your Pots! Before discussing some ideas for re-using old potting mix, it’s a good time to do an ‘audit’ of your pots. Check the condition of your plants, soil and pot hygiene. It may not be necessary to re-pot completely or even right now. There are a number of factors to consider in each situation and I’ve developed a checklist to help you make the best decision. Considering Re-potting? Use this 10 Tip Checklist First! 1. How long has your plant been in the current pot? If you have been growing perennials, flowers, herbs or shrubs for 1-2 years, then it may be a good time to re-pot. Or renew at least some of the potting mix to keep the plant healthy. A lot depends on the quality of the potting mix you used in the first place, what you’re growing and the soil health. If it was a commercial mix, then you have invested money in it. 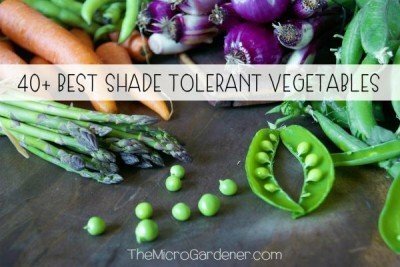 BUT like all growing mediums, plants use up the nutrients very quickly if they are not replaced on a regular basis. 2. What is the soil level in your pot? If the growing medium has dropped well below the lip of the pot, then it needs topping up. It is likely there was a reasonable percentage of compost or organic materials that have now been ‘used up’ by the current plant or the crop you have just finished. Bagged potting mixes are primarily made up of cheap pine bark. This ingredient breaks down and you may notice the soil level dropping in your pot over time. You can top up the growing medium with additional ‘ingredients’ that won’t break down so quickly. 3. What is the soil structure like? If you used a bagged potting mix to start with, it may have a good structure but be a bit tired. If you used soil from your garden, it may have compacted. You may be able to amend your potting mix with natural ingredients that help hold moisture and improve structure. However, like any recipe, for healthy soil, it’s important to get the quantities right. Too much of one ingredient can cause problems! If you’re not confident with how much to add, use a recipe to get the balance correct. 4. Is your plant a long term resident? 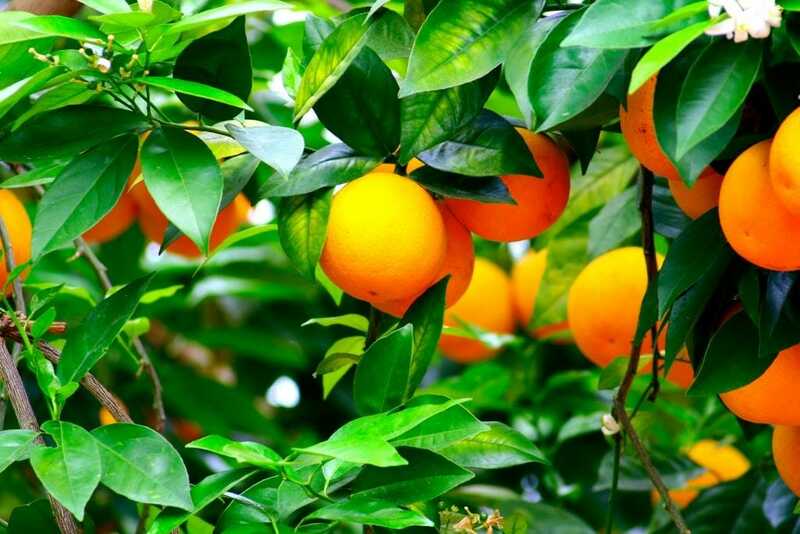 If you have a dwarf fruit tree for example, it’s likely to be in a large pot for the long term. Rather than re-potting every 1-2 years, you can keep the potting mix healthy by adding nutrients every season. If the plant has outgrown the current pot, then consider moving it into a larger container, so it doesn’t become pot bound. Straight sided pots and grow bags are ideal. 5. Have you had any problems with disease in the pot? Fungal and bacterial diseases can be a problem. e.g. different types of root rot. Plants can be susceptible to further infection if the potting mix is re-used. 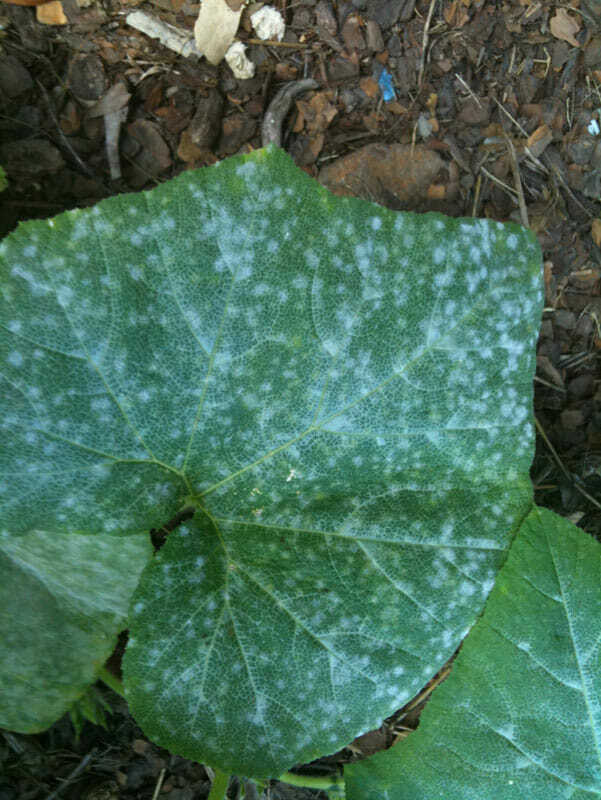 Plant pathogens can stay in the soil potting mix for years, continuing to reinfect plants. So, if this is the case, I would suggest putting potting mix from any contaminated plants and pots into the bin in a sealed bag. Avoid adding to your compost. Start again with fresh potting mix. 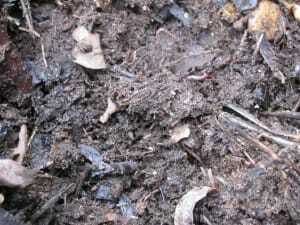 Even if you use advanced hot composting techniques, it’s important to respect the importance of good soil hygiene practices. Occasionally, this may be the best option, rather than causing more ongoing serious problems. Cleaning the pot afterwards is also important. Avoid chemicals. Just warm soapy water is all that’s necessary. 6. Have your plants been attacked by pests? If pest insects have been a problem rather than disease, it’s very likely the soil needs attention. This is especially the case with fungus gnats and curl grubs. Adding nutrients to build up soil health is one vital step. You may also need to check soil moisture and the suitability of the plants you are growing. You can also use a variety of integrated pest management (IPM) strategies to resolve the pest issues. 7. When watering your pot, does water run quickly out the bottom? If you see water spilling out the drainage holes almost as fast as you are pouring it in, this may indicate your potting mix has become hydrophobic or water repellent. In this case, it is definitely time to re-pot because you are wasting water, a valuable resource. Your plant is not getting the moisture it needs to be healthy and may soon become stressed. Even if the potting mix is not water repellent, the current mix may not have enough water-holding capacity. The potting mix likely needs to be improved or replaced with long-lasting moisture and nutrient-retentive ingredients. Alternatively, as a trial you could add a product like Eco-Hydrate, an excellent organic soil wetting agent without the nasty chemicals in other polymer based wetting agents and water crystals. 8. Have you been growing vegetable crops in the pot? If so, consider the importance of crop rotation. This is the practice of rotating vegetable crops in different plant family groups to avoid a build up of soil borne diseases and pest problems. One of the simplest ways to practice crop rotation in pots is when one crop finishes, you replace it with a crop from a different family group. One system of crop rotation is to plant legumes, then leafy greens, flowering plants and finally root vegetables. For example, this just means if you have been growing beans (legumes) in the pot for a while, instead of replacing them with another legume crop such as peas, swap to another plant family. 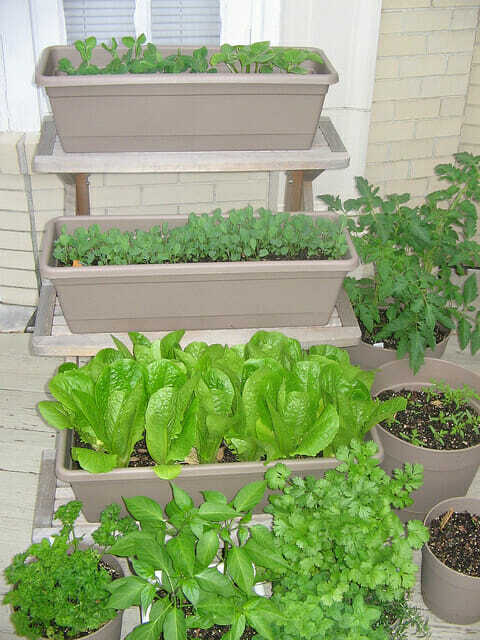 It is good hygiene practice to plant a different variety of vegetable (such as a leafy green crop of spinach or salad greens or a fruiting crop such as tomatoes, capsicum or cucumber instead). 9. Are you feeding your beneficial soil microorganisms? In a garden bed situation, beneficial bacteria and fungi and other organisms in the soil food web can maintain the balance in the food chain. It’s very much a microbe eat microbe world down there! These beneficial microbes help feed your plants by turning soil nutrients into a soluble form the roots can take up. In a pot or container, this doesn’t happen to the same extent. You need to give this natural process a helping hand! You can add beneficial ‘effective microbes’ (or E.M. as they are also known) to boost the life in your soil. Maintain a healthy growing environment for your plants by ‘feeding’ the microorganisms with diluted molasses (a simple sugar) and liquid seaweed. This quickly activates soil life and improves plant health. 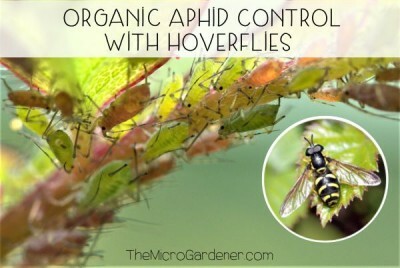 Watch the difference in your plants – you’ll be amazed! 10. Have you checked the soil pH? This is a maintenance activity I do regularly. Why? Because the level of acidity sheds light on whether or not your plants are getting access to the nutrients in the pot. 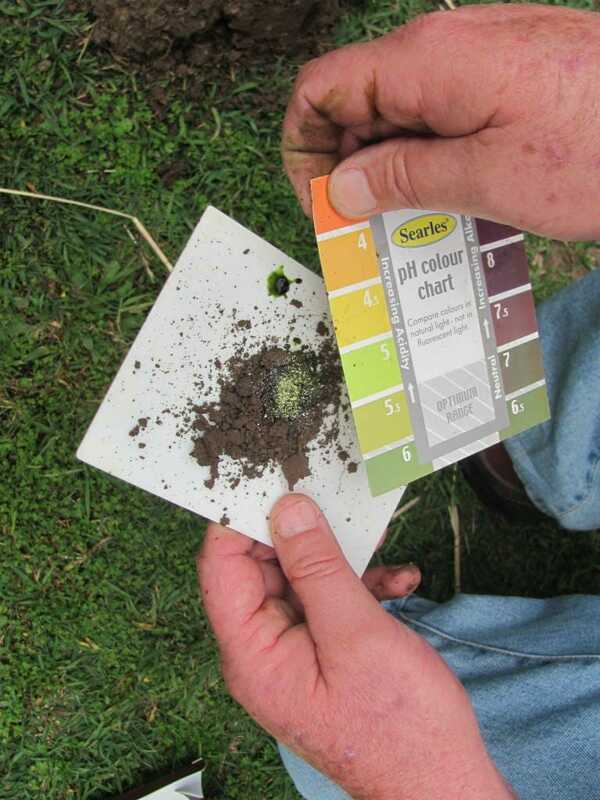 Using a low-cost soil pH meter or kit, check the pH balance. You can also adjust your soil with simple amendments. I share how to do this in my How to Make Potting Mix Guide at Home. Most vegetables and herbs thrive in a pH range of 6.2-6.8 with 6.4 being optimum in my experience. This pH range allows the maximum uptake of the majority of minerals from the soil, accompanied by a healthy microbe population. If the soil is not within a healthy pH range for what you are growing, you can add dry organic supplements to help re-balance it. Compost also provides a buffer zone. If the soil pH is where it should be, then don’t worry about re-potting just now. 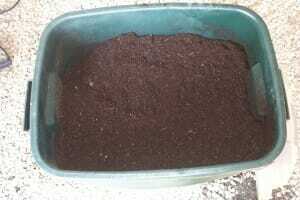 Top up with some fresh potting mix to help drainage, aeration and some organic fertilisers to boost the nutrients. You can continue to plant in this pot for another season. Look at the distance between the top of the pot and the soil level. This is an indication the organic matter in the potting soil has decomposed and your plants likely may need more nutrition. The nutrients available to the plant or next crop may have diminished and likely need replacing. It’s a bit like us losing energy if we don’t eat regularly! Revitalising potting mix is an ongoing maintenance job for container gardeners! Now is a good time to rejuvenate the growing medium with additional organic fertilisers and some homemade potting mix to bring up the level again in the pot. Based on the above checklist, you should be able to decide on the best option for you: revitalise your potting mix or replace it! You can add pre-soaked coir (coconut husk fibre which helps retain moisture). I soak a compressed block in HOT water to speed up hydration and add liquid seaweed and molasses. Seaweed adds trace elements and both these ingredients feed soil microbes. Vermiculite can be added for drainage, nutrient retention, insulation and aeration. 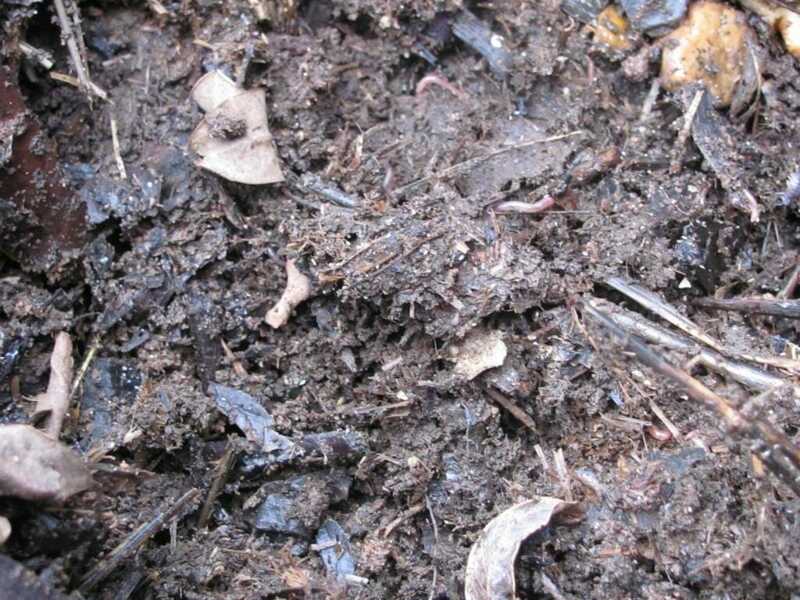 Compost and worm castings (vermicast) also help add vital healthy microbes to your tired soil mix. 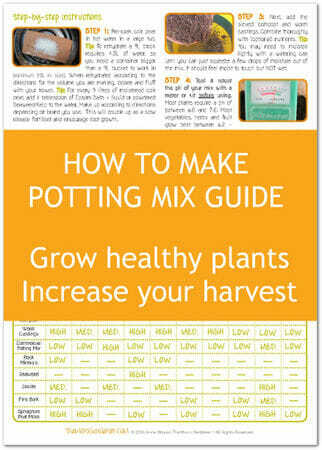 If you need confidence on quantities with a recipe you can use year after year, check out my How to Make Potting Mix at Home Guide. 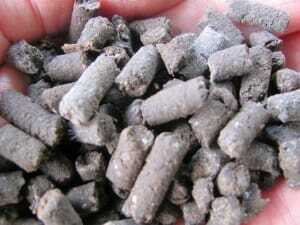 Add slow release pelletized or powdered organic fertiliser (preferably one that has rock minerals in it). Rock minerals add a balance of minerals into your soil, so your plants are not lacking any nutrients for healthy growth. Minerals are also known as soft rock phosphate, rock minerals or mineral fertiliser. Do you want to revitalise the entire pot contents, rather than just topping up the level in the pot? If so, water the old potting mix while it is still IN the pot to make it easier to remove. Sieving and breaking it up will be much easier too. Moistened (not soggy!) mix will also be less dusty and easier to mix with the new ingredients. Spread out a small tarp or plastic sheet. Tip the potting mix out (or depending on your space, use a wheelbarrow or large plastic bucket). Use a mask and gloves for this exercise. If you have drainage gravel in the mix, use a large sieve to strain off the stones and any root masses. Allow the aerated mix to fall to the bottom of a bucket, barrow or onto the tarp. This can then be mixed with the above ingredients (use 3:1 new to old as a general guide). If you’re on a tight budget, use a 50:50 mix of old and new or any other ratio that you like. Then you will have extra refreshed potting mix to top up other pots as well. Do you have depressions in your lawn? Ruts or areas that are subject to run-off? Or spots where you lose valuable topsoil? 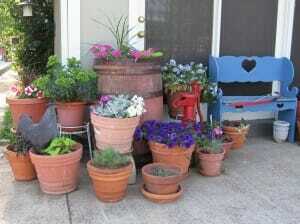 You can use old potting mix to fill in these areas. Build up the level of your garden with the additional mix. Add some new potting mix as well and plant straight into it. 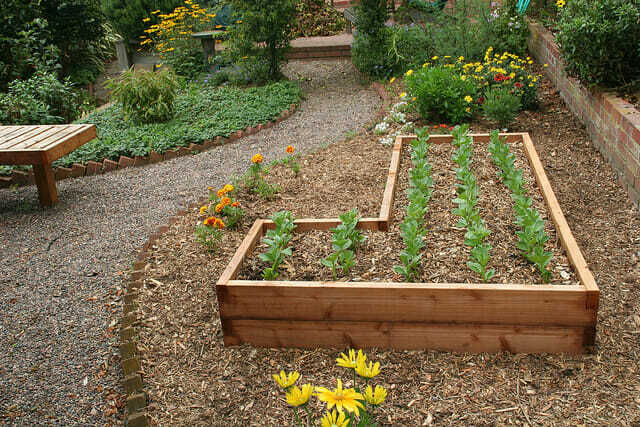 If you have a no-dig garden bed, these tend to shrink as the plants use up the organic matter. 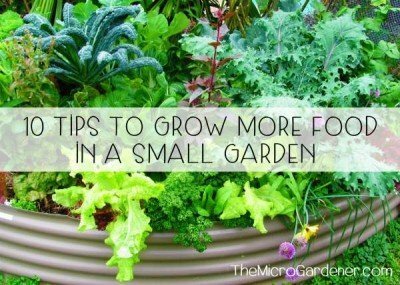 So another use is to top up the level of your garden. A hot compost heap or system that reaches between 65-70°C will destroy any pathogens if you are worried about soil health. Even if you don’t have a problem with disease in your pot, your old potting mix will turn into rich living humus full of nutrients that you can add to your new potting mix. Clay soils tend to hold too much moisture, are heavy and often difficult to grow a wide variety of plants in. Turning in some lighter, used potting mix which is still rich in organic matter can improve soil structure and drainage. These are just some of the ways you can re-use old potting mix and revitalise your plants. If you want to save money, why not make your own potting mix at home? I have created a practical guide to help you with 4 simple steps. If you want to follow the exact recipe I use to grow nutrient-dense food and healthy plants, CLICK the image to check out this laminated guide. Have been unable to buy the tereganix microbial inoculant or the plantation organic blackstrap molasses through prime – won’t ship to Australia. Any suggestions? These are suggested quality products but you can buy any brand you can easily access. Which state are you located? That would help me point you in the right direction. If you’re local in QLD, I suggest you try your local farm/garden produce store, chemist or supermarket for the molasses. It’s cheapest from agricultural supply stores (I pay around $3 for a 2L bottle) as they buy it in bulk for animals. Re adding microbes to your soil mix, there are a number of brands available such as GROW.Biota Booster; One Organic. Over the last 3 years or so, I have had a problem with small black worms in my flower garden. Last year, they stripped all my flowers faster then I could kill them, even marigolds! I’ve been dumping my container soil (a mix of bagged potting soil and compost) back into my compost pile for five or more years. Should I get rid of all the compost and start fresh or is there a way to get rid of the worms? Without a photo to identify your ‘black worms’ it’s impossible to say what they are! Do you mean caterpillars? Worms (earthworms and compost worms) are part of a healthy soil ecosystem. They are decomposers NOT pests. I am guessing you mean caterpillars. If caterpillars are attacking your flowers, it’s more likely they are nutrient-deficient so nature’s ‘clean up crew’ has arrived to remove weak plants. It could also be a seasonal problem (spring?) when more insects are in the garden. If you don’t have a balance of pests to predators (e.g. birds to eat caterpillars and beneficial predatory wasps that lay eggs inside them to stop the life cycle), then that may also be a factor. Read Imitate Nature for Higher Yields & Less Pests. So, adding the compost to your garden and your flowers being attacked may be 2 entirely unrelated events. Try remineralising your soil and compost and make sure your flowers have adequate moisture and mulch. Read 5 Secrets to Building Healthy Soil and 3 Steps to Prepare your Garden for Planting for more simple easy to apply tips on soil health. Recycling your container potting mix into your compost is an ideal step to revitalising it. Make sure you are adding a balance of nutrients and ingredients into your compost pile in each layer. So when it is broken down and ready for use, it contains ALL the nutrition your plants need. Diversity is the key. One way to do this is to add rock minerals like I mentioned in the article. Not sure where you’re located, but you can find several good brands on Amazon such as http://amzn.to/2EOrHsZ and http://amzn.to/2HKH5V5. I hope this helps Trudy. Is it possible to compost in the actual plant’s pot? Can I add organic material to my plant’s pot, then cover with soil and let the magic happen? Or do I have to do it in a dedicated compost pot? Yes, you can add organic matter (including compost or food scraps etc) to a pot which already has a plant in it, in small quantities. You can bury a small amount of food waste or other organic materials under the mulch to help break down and feed the plant. 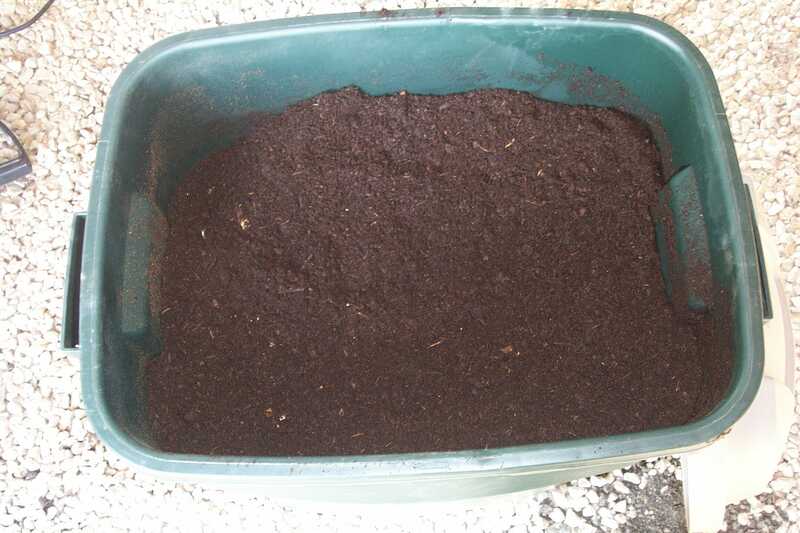 This type of composting is really only suitable for very small quantities. If you want a decent amount of compost for your garden, then I suggest a dedicated compost system of one kind or another. There are many you can make or buy. 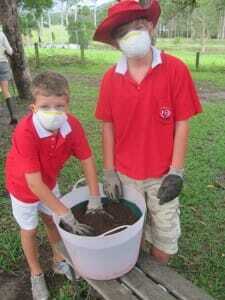 See my article on How to Use Compost and 7 Benefits of Composting. I save my old coffee grounds, banana peels and egg shells all winter to grind up and add to soil in spring. nitrogen, potassium and calcium give me the biggest juiciest tomatoes in the neighborhood. I would love some more details and tips on the soil amendments for dwarf fruit trees. I have already repotted my tahitian lime once a few years ago as it had outgrown its pot. I added new soil then but it is still not fruiting. I’ve tried Seasol regularly and all the tips I keep hearing are the same ie., Seasol or fish based fertaliser and pruning back the tree, as what I have tried. I’m thinking the soil may need a boost. Recently a friend told me they put chicken poo on theirs and bounced right into fruiting. However, their citrus is in the ground and they have chickens. I’d love to see this tree going strong with fruit. Any tips would be welcome. You’ve hit the nail on the head with boosting your soil. I think of it like this – feeding your soil (and plants) is similar to the human body. If you don’t eat for a day, a week or a month (like going on a fast and just drinking water), then you likely have very little energy to do anything except survive – NOT thrive! Similarly, if you FEED your soil with minerals and nutrients, and have an active soil biology (microbes) that help convert these into bioavailable food for your plant to take up, your tree WILL be jumping out of its skin with energy and will reward you with beautiful healthy fruit! 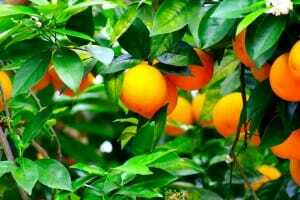 – If your fruit tree is pot bound, use this as another opportunity to repot but perhaps this time into a grow bag. These are lightweight, are portable (handles), have inbuilt drainage, are tough and really suit fruit trees as you can later plant them in the ground if you wish or change up to a larger bag with ease. You can buy them quite inexpensively at produce & hardware stores. They start at around $6-7. You can also ‘sit’ them inside a more decorative container or tub if you prefer. – If you want to keep your tree in the current pot, you will need to make some room for soil amendments so possibly give it a light prune to neaten it up and reduce the root ball slightly. I would top dress (sprinkle) around the trunk and top of the pot a) a layer of compost – 1-2cm if you have room (preferably homemade as this is rich in nutrients vs the bagged mixes); b) rock minerals – a good handful or two as your tree has been starved for a long time. This will also make it more prone to pest and disease. I use NatraMin which is a balanced rock mineral mix and an absolute necessity in my garden. Not only does it supply all the minerals your tree needs, but you also benefit with nutrient dense fruit! c) Organic poultry manure such as Rooster Booster or Organic Xtra (I prefer this). – Finally top up with a feeding mulch like lucerne or sugar cane (2-3cm thick) – this will eventually breakdown but in the meantime will retain moisture, insulate your tree from weather extremes and encourage microbial activity in your pot. A fortnightly tonic of seaweed/fish alternated with diluted molasses (1 tblspn to 9L bucket) will also add trace elements and boost microbe activity = feeding your tree! So, if your fruit tree is sitting there in protest (as do other plants in your garden! ), remember to think of them like little people who need food/drink for energy and this will help you ‘think in plant language’ what they need. Magazines like Organic Gardener are also a good investment – they have wonderful articles and help build a knowledge bank on growing a wide variety of fruit, veggies and herbs organically. Thanks again and again! Since you’ve taught me other ways to feed my plants ever-so-often (like the kelp/fish emulsion), I’m going to go with your suggestion and add the bulk amounts of pond muck straight onto the “unofficial” compost/leaf pile we have (layered, like the link suggested). That area’s a large enough space (and has no limitations on drainage) that I won’t have to worry about drowning anything beneficial with such a large quantity of watery material at once. I’ll add more controlled amounts to the various “official” (compact, faster-working) compost bins I’m making (and possibly dilute some and spray it on the garden right away). I do rely heavily on the pond enzyme and barley supplements you mentioned! In fact, I was just looking at it yesterday and realized the enzymes it uses are probably the same as are in your Bokosh (they are dry, and housed on a mix of barley and wheat germ). The one Bokosh-like enzyme I’ve been able to locate at the stores around here wasn’t cheap (and was in a liquid form, which I understand to be less stable in terms of storage)….so I may see if this “pond-zyme” works in the compost! I’m so grateful for all your help! RE: pond water….I can’t remember why, now, but at the time I had in my head that that especially beneficial (and less pathogenic) microbes in a garden were the anaerobic ones. (I must have read something that confused me on that matter.) So when I dumped the soil I figured I was setting up a perfect environment for the “little buggers” that I especially wanted multiplying! So thank you for setting me straight on that one! A great deal of the muck material I use in the pond tea is pulled up from well below any oxygen source, so I’m really glad you gave me tips on how to balance that anaerobic population by infusing it with some aerobic buddies! You mentioned using the tea right away. I do “harvest” the muck in small amounts as the pond needs it (it’s a plant-heavy pond, and some of the plants generate a LOT of waste matter)…..but several times a year I also do a MAJOR muck-out. The results are way, way too much to be used even within a week. My question is, when I do the BIG muck harvest should I go ahead and oxygenate it right away and then do something to maintain water circulation? (I do have some old pond pumps that aren’t being used which could work.) Or should I just set it aside and let it be the anaerobic soup that it is, and just take and oxygenate small portions as I need them? Running pumps wouldn’t be all that much trouble….but I don’t want to waste electricity unnecessarily! I was also wondering….if I use the tea immediately after oxygenating/enriching it, that means the aerobic microbes I seek will not yet have had a chance to take hold. So I assume the point is to feed the aerobic microbes that are already naturally in the garden (so they then multiply there), not to add them to the garden in the first place, right? OK, one last question: In the pond world, when we find ourselves needing to give fish a quick oxygen boost we turn to hydrogen peroxide (either the kind you get in a drug store, or in special powdered formulas). A small amount goes a long way, fast. Do you have any thoughts on using this method to help oxygen-infuse muck water (along with the molasses, etc)? Thanks so much for doing what you do! Sorry for so many long queries! I’m not sure what kind of pond set up you have but a lot of people now add beneficial bacteria to their pond water to keep it healthy for fish and barley straw is also a useful addition – there’s some info on this type of treatment at The Pond Digger. I always try to use a method where I can work with nature so you might want to investigate how these types of natural products can help in your situation. Vetiver grass has also been widely used as a remedial species to help improve water quality, removing toxins and sludge etc. Could be worth investigating depending on where you live and your climate. 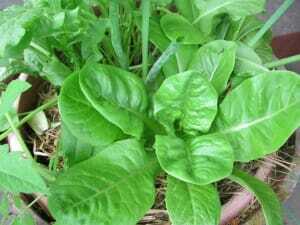 It has multiple uses including being grown for mulch. You might also be interested in some instructions for Pond Compost. Pond waste is rich in nutrients and we’ve just added it to our compost piles as another ‘ingredient’ when we’ve cleaned ours out previously rather than using it as a fertiliser tea and going to the trouble of oxygenating it. Compost teas can be made from a number of organic materials – we have a small brewing kit (simple fish tank pump, stones and large bucket) but caution does need to be exercised that you know what microbes you are actually brewing! You may well increase the population of some undesirables! Oxygenating the water and adding a microbe food will explode the population of whatever microbes are living in the water and organic material and this is quite a science in itself. The process for properly brewing microbes for optimum reproduction is usually 12-18 hrs. You can read lots more online if you’re interested in this. It seems one of the easiest solutions for you could just be to add your bulk pond waste to one or more compost systems or as a garden fertiliser and cover with mulch and just let it break down as a soil food. Either way it costs you nothing in terms of electricity and still adds great value to your plants recycling the nutrients back into the soil. Quick question Re: re-using old potting soil…I’m gearing up to start a large no-dig veggie garden and would love to minimize the amount of soil I have to buy and haul in. I have several pots (and piles) full of seemingly good potting soil laying around the yard, left over from past projects. I’d like to make use of that dirt, but am a little nervous that it’s ill-advised since it’s currently host to a plethora of weeds (and very likely just as many pests). I have a (kind of crazy) idea about how to possibly “purge” the soil, and I’m hoping you’ll be able to tell me if it might work! This idea came to me when I was looking at the contents of my “black-gold” bin—which is a large bin filled with the blackened plant-matter-muck-water I routinely clean out of my pond system (and then dilute way down to use as a fertilizer tea). My first thought was that the muck-water would definitely enrich the old soil….but then I wondered if adding enough muck water to literally “drown” that soil might also kill any weed roots and pests or pest-eggs that might be overwintering in it! I know I’d need to make sure it stays fully submerged in the water for at least a week, but don’t you think it might work?! I hope you don’t tell me it’s somehow going to ruin the soil, because I’ve already tossed most of it into the water as an experiment! But don’t worry, I spent a very long time carefully sifting it to remove all the good worms and their eggs, which I then relocated to a little worm bin that I set up! (I also chucked as much of the weeds and their roots as I could, and pulled out any grubs and pests that I saw and delighted my chicken with the bounty!) The weeds, at least, showed no sign of fungal or mold issues, so hopefully the dirt doesn’t harbor those blights (as I doubt soaking would do anything to fight them off). So what do you think? Could I have stumbled on a simple way to de-pest old soil? Or am I just being naively optimistic? 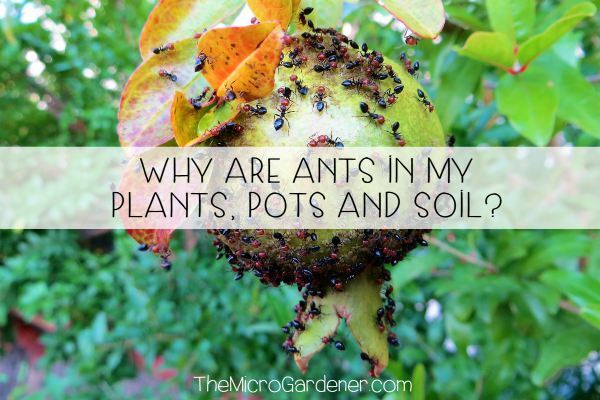 Pots – I find these are generally pretty quick and easy to hand weed especially if the soil is moist (while you’re doing so it’s likely any insects will jump ship anyway unless you have a particular pest problem in mind). If some weed seeds have fallen into the potting mix, I personally wouldn’t worry about them. 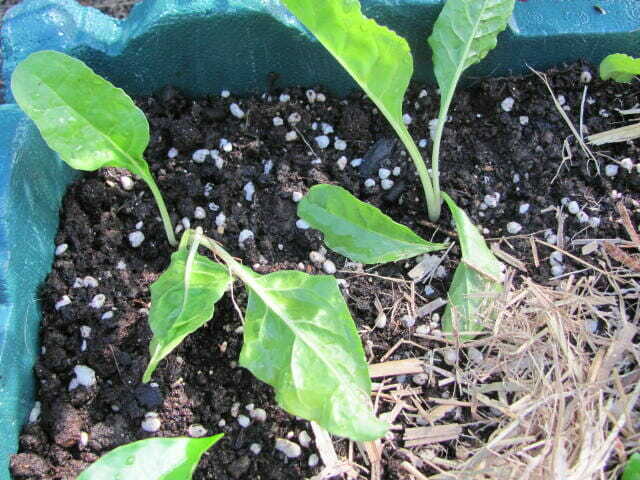 I mulch new garden beds and pots well and this tends to stop the majority of weeds – most never germinate anyway and if they do, I deal with them later by hand picking as they come up. Pond Nutrient Waste – I think you’re both a very lucky girl to have access to such a wonderful resource and intuitive enough to realise its value and use it! 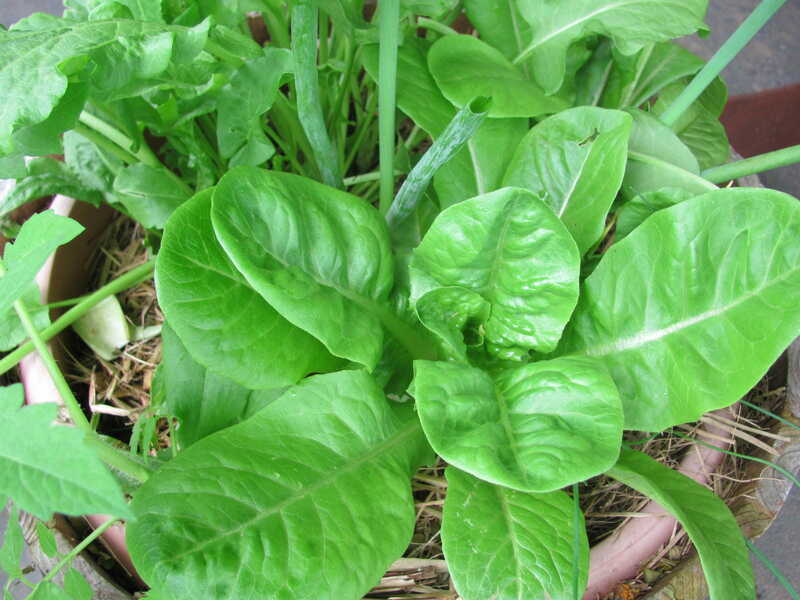 It’s a fabulous nutrient-rich source of food for plants especially as a well-diluted tea. I would suggest to maximise this resource adding a dollop of molasses to the water when making up the tea as this will feed the microbes. Turn the hose on hard while filling the bucket to dilute the mix will also help oxygenate the water to some degree – use immediately. Fungi and bacteria – just to clarify there are both ‘good’ or beneficial species and ones that cause us some trouble in our garden but my philosophy is building healthy soil and a dominant population of good soil workers so they take care of the disease-causing species. Nature doing what nature is supposed to do. You are right – the “muck water” from the pond WILL enrich the old soil by adding organic matter but I would suggest reconsidering literally covering the soil to fully submerge it in future. If the weeds have left roots in the soil, this dead organic matter becomes microbe ‘food’ which in turn becomes humus and will feed your plants. All soil is made up of living creatures (the soil food web) and like us, they need oxygen, food and water. If you submerge the soil, you drown all the good soil workers down there which I wouldn’t recommend because the soil and plant health suffers as a result – there are easier ways of removing weeds and pests! Weeds – can be pulled out and bagged in a black garbage bag and “solarised” for a few weeks and then added to the compost – the heat will kill off their seeds so they will never germinate or alternatively you can drown the weeds by adding to a bucket with a lid and leaving for a couple of weeks before straining, diluting and using as a fertiliser compost tea. Weeds are ‘miners’ of minerals and rich in nutrients so it’s one good way to return this to your soil. Using Chickens to break the Pest/Weed Cycle – You were on the right track and almost solved this ‘problem’ by feeding your grubs to the chooks – this is working with nature at its best. To take this one step further, you can solve future woes quite easily – or your girls can! If you rake this weedy pest-laden soil into a pen (even a temporary one or erect some wire around it if it’s too big to move) and let the girls loose on it for a few days, it has multiple benefits. They think they are going on ‘holidays’ somewhere new with an amazing smorgasbord of delicious weeds, pests, larvae and weed seeds (“one man’s trash is another man’s treasure”!) The chooks will delightedly have all the weeds, seeds and pests removed for you without you having to do anything else! You then pick this soil up and it’s ready to go. Many people use a ‘chook tractor’ for this purpose on a bigger scale – getting their chooks to prepare their garden beds and soil for them, adding their manure (free fertiliser) at the same time and then mulching and planting straight afterwards. I admire your dedication to saving your worms and their eggs Sandy – a task not for the faint-hearted and certainly shows your love of soil and nature. I note you have already added some of the soil to the water but all is not lost. You will end up with an anaerobic soil mix which means you will need to add a) oxygen b) microbes (living soil organisms) c) food for your plants and microbes. 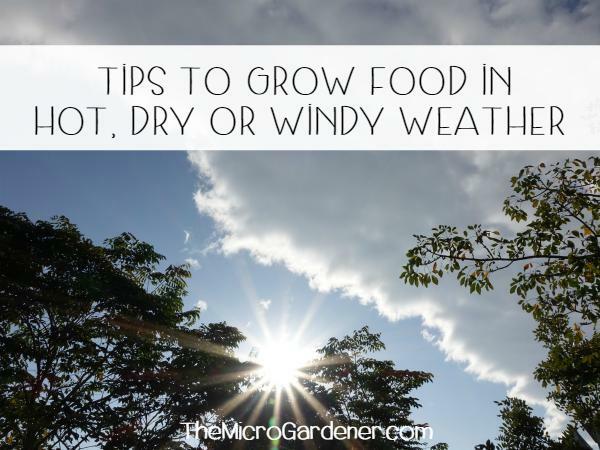 Allow the soil to dry out until it is just moist and fork it through to aerate – you will need to add microbes back in by a) mixing some worm castings, mature compost, bokashi or even some healthy soil to kick start the healthy population again. b) Feed them with a weekly dose of seaweed and molasses. Pretty soon, nature will restore the balance and you’ll have an amazing resource to plant into. Good luck! Would love to know the outcome – please keep us all posted with your experiment and results! Thanks for your comment Doug. I have heard some people put their soil in the oven to sterilise it although this is the first time I’ve heard of the microwave! Just a tip: If you are trying to avoid toxic chemicals in your garden, it may be best to ensure the dishwasher powder you use is environmentally friendly and biodegradable, otherwise the chemical residue will remain on your pot and come in contact with your potting mix or soil. The heat as you say will kill the pathogens (if there are any present) however the down side to heating soil in an oven/microwave is it also kills the beneficial microbes so you end up with safe, but ‘dead dirt!’ Beneficial microbes are an integral part of growing healthy plants. If the soil or potting mix you have been using has had plants with problems such as water logging or diseases, a more ‘work with nature’ method you could consider to help revitalise and sterilise any pathogens or disease microorganisms present is to put it back through your compost system. This way, if you create an aerobic ‘hot’ compost by building and feeding it correctly, this will naturally kill the pathogens (without damaging the good guys! ), inoculate any weed seeds and provide you with a healthy living soil for your plants to grow. The hot little helpers in the compost are thermophilic bacteria (they like it hot!) and thrive on a balanced diet and right conditions (enough air, water and range of food). They cause the pile to heat up into the 60-70 degree centigrade temperature range, which helps sterilise the pathogens. Once they use up their food source and the heap cools down, the regular bacteria return and you can use this beautiful compost in your garden. Successful hot composting really is dependent though on a balanced diet of Carbon:Nitrogen (a ratio of 30:1). I would also suggest reconsidering microwaving plastic as radiation alters the molecular structure of atoms (not just in our food) but it may also interfere with the stability of the plastic in the pot and possibly cause leaching of chemicals into the soil (and thus your food). Check the recycle number on the bottom of the pots – you can read more about choosing safe containers for food if this is of interest. I’m currently writing a series of articles on the ‘dangers lurking in our gardens’ with various materials that are commonly used which may also be of interest in the future. Thanks again for stopping by and happy potting! Thanks, Anne. This gives me plenty to be getting on with! Can you point me to a reference that lists veges in their ‘families’ for crop rotation?